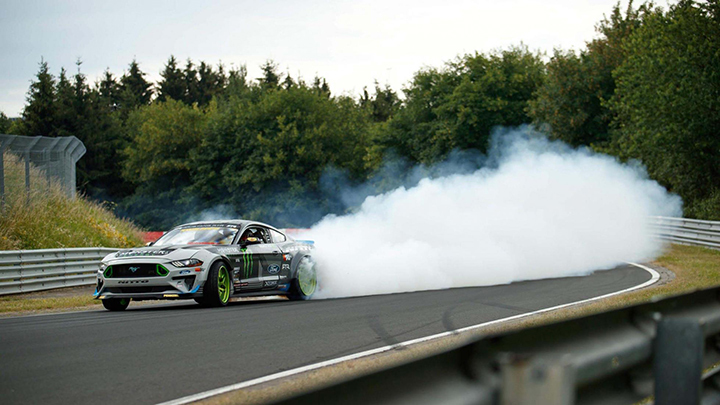 Drifting is usually banned at the Nürburgring. Sensible idea, actually. 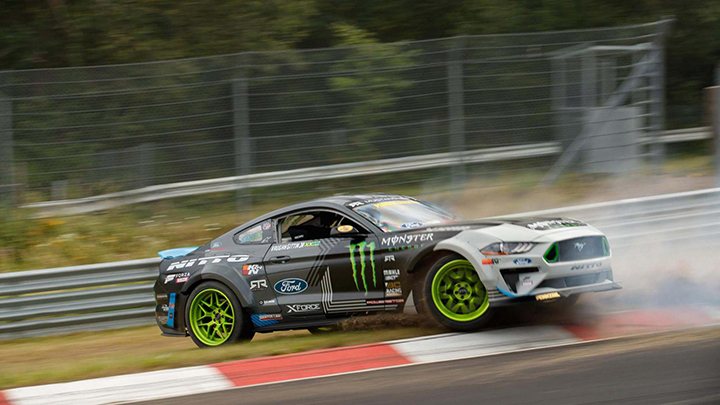 The internet hosts a trillion crashy videos to demonstrate why exuberant behaviour is not advisable on the Nordschleife. So, if you’re a champion drifter with special permission to slew sideways around the entire circuit, it’s not an opportunity to pass up. 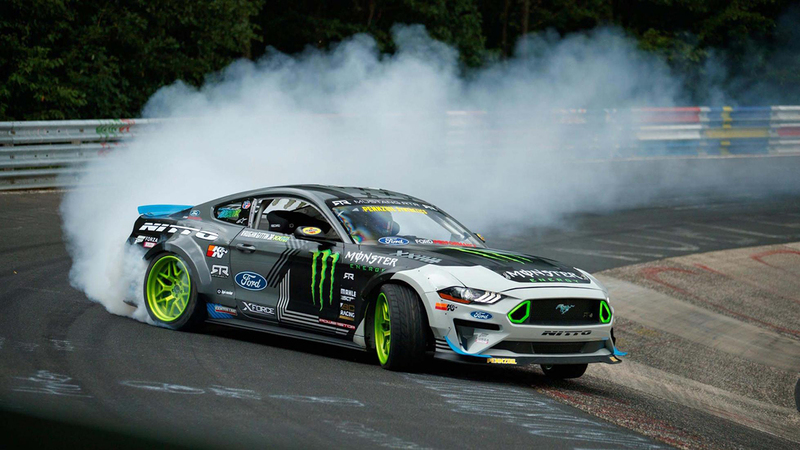 Trust Vaughn Gittin Jr. to made the most of it. 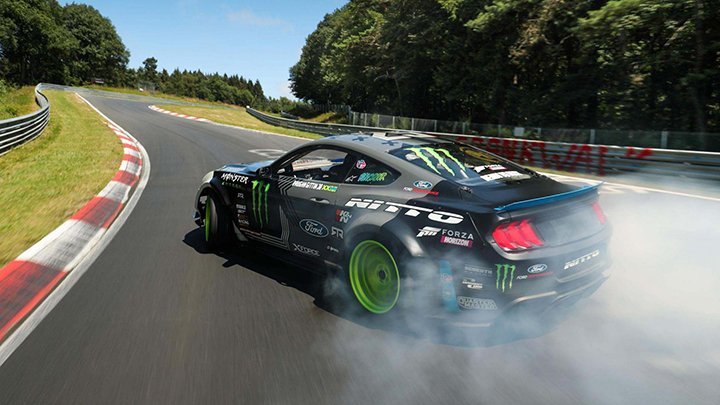 He’s slid his 900hp RTR Mustang around the Green Hell, chewing three sets of rear tires in the process. 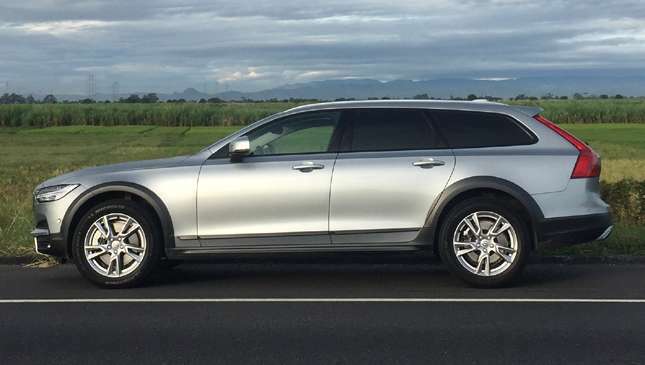 It’s by no means the fastest lap of the ‘Ring you’ll see--some of it is spent going backwards--but it’s certainly one of the more balletic. Thing is, Gittin’s people claim this is “the first time the feat [drifting the entire Nürburgring] has been accomplished.” Hmmm. Have they not heard of Faszination, the legendary on-board of Ruf test driver Stefan Roser attacking the circuit in the CTR ‘Yellowbird’, from way back in 1989? That thing was even more wayward than the ‘Stang, and by no means set-up for the task.